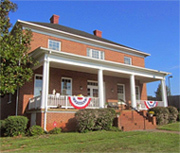 The Franklin County Historical Society was chartered by the Commonwealth of Virginia in 1968 for the stated purpose of collecting and preserving the history of Franklin County, Virginia. In 2005, we added “sharing” to this mission. 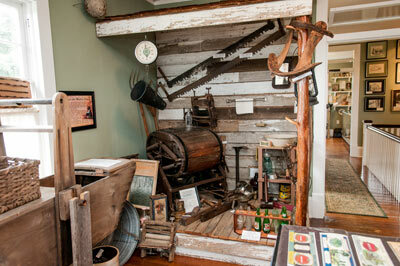 To that end, we offer memberships to the general public to encourage interest in local history. Members receive a newsletter – “The Times of Franklin Before and After 1786” six times a year. We operate a history museum and research library to provide public access to our collected materials. Thanks to the generosity of our visitors, we do not charge an admission fee, however, we do request a donation of one dollar or more per person visiting the museum. FCoHS is a non profit 501c3 organization with IRS tax exemption status. We are able to document donations for tax credit purposes. As a means of financial support, we publish booklets with historical themes for the purpose of education and research assistance. We are happy to share our resources with those who are interested - and welcome the sharing of resources by others. Our primary area of interest is, of course, Franklin County, Virginia. However, we recognize that families’ and a county's history do not end at boundary lines. For this reason, we extend our work into surrounding areas - and have collections from counties that formerly embraced the area that became Franklin County, Virginia, in 1786. And our collection of information from other states is growing. FCoHS membership covers all of the United States of America plus the District of Columbia, some Canadian provinces and other foreign locales. 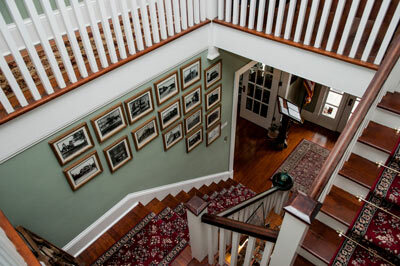 We welcome members from anywhere who have an interest in Franklin County and her history. Franklin County Historical Society provides research assistance. Our volunteers do the work and all money collected goes into our operating fund. We request a donation of $20 per hour for research - plus copying fees (25 cents per page for copies from resource books, collections and courthouse documents). Let us know what you'd like us to find: marriage/birth/death records, wills, deeds, other court documents, family connections, information for UDC or DAR membership, etc. We do the work and send it to your postal address with a request for a donation for time spent and copies. Sorry, we are not able to send reports electronically. Our officers and Board of Directors serve a two-year term. Without their diligence and efforts this project would be insurmountable, We thank them all and our other volunteers.